Today is ALL about the customer experience. Companies that create and execute marketing strategies that resonate with their target market will come out on top. So, how can you make sure that your customer experience marketing is up to par? Here are a few tips for a killer customer experience. Be responsive. This is not only for the sake of your customer, but Google will dock you if your website isn’t mobile responsive. There are plenty of website builders our there with responsive templates. Use them. Easy navigation. Do not make it hard for your customers to explore your website. If they are looking for the pricing page, then they should be able to find it without a struggle. If you think your website is hard to navigate, simply outline your tabs and eliminate unnecessary pages. Less is more. Simple, easy-to-read content. Are you interested in reading a novel when you go to find more information about a product/service you are looking into? No, so why would your customers? Keep your content short and to the point. Lay out all the important information and let people know where they can go to get more information and encourage them to do so with clear calls-to-action. Landing pages are a branch of your website and contain highly targeted messaging. 48% of marketers create a new landing page for every campaign they create. Statistics show that the more landing pages you have, the more leads you generate. Targeted landing pages offer relevant information to your leads and customers leading to higher conversion rates. So, why do landing pages improve the customer experience? Because the consumer is getting the information that they need in a simple and concise manner rather than having to peruse through an entire website. Landing pages with clear calls-to-action make it easy to request more information and gather pertinent information. Again, make sure your landing pages are responsive. Email marketing remains one of most effective marketing tools. Whether you are using auto-responders, drip campaigns, or simply a monthly newsletter, email marketing is a great way to keep your company top of mind, as well as inform and educate your consumer. 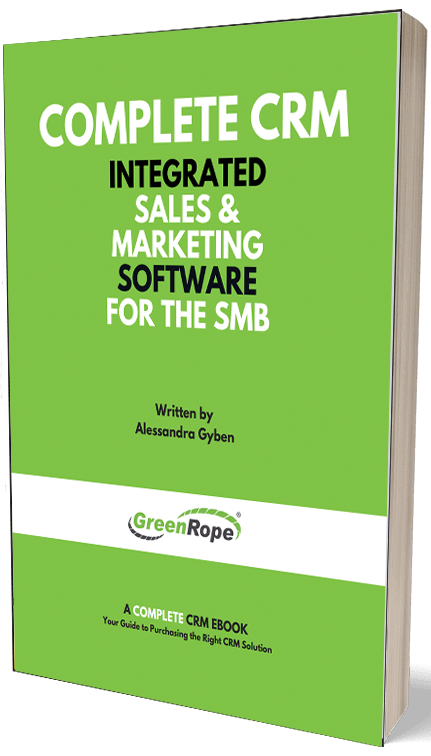 For example, when a client signs up for a GreenRope trial account, they are dropped into the GreenRope drip campaign that highlights all of our features and how they can help your business. This effectively educates the client, keeps them utilizing or thinking about their trial account, and nurtures the lead throughout the sales process. Monthly newsletters , special promotions, and other email marketing efforts should always provide value to the customer. Tip: Keep your newsletters short and make sure they are responsive so people can read them on their mobile device. You want your newsletter or email to be something people can read while waiting for their cars to be washed or standing in line. There is no doubt that you probably are using social media for your business, but are you using it to better the customer experience? Social media is a great way for you to interact genuinely and transparently with your customers. It acts as yet another source of information for leads. However, unlike sales conversations, leads can ask questions without being aggressively pursued. Social media is also great for customer service and gives your clients an outlet to advocate for you. It is more engaging than most other forms of marketing and makes interacting with a brand more enjoyable. Measuring engagement and sentiment of prospects and clients. This include social, email tracking, website tracking, testimonials, reviews and more. Collaborating with all departments to find out what people are saying at every stage of the buyer’s cycle. Develop and implement strategies to improve the customer experience and initiate new customer- centric programs. If you haven’t already been thinking about the customer experience and how your leads and customers feel about your brand, then it is time to start. Make sure that you have tactics in place to make it seamless and enjoyable to engage with your company. What little things have you done to improve your customer experience?